Rev. Frank DeSiano, CSP, has been President of PEM since 2009. 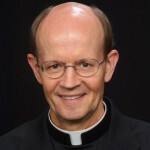 Before that, he has served as pastor twice; as president of the Paulists and then, later, as first consultor; as a consultant to the US Bishops Committee on Evangelization during which he was the main drafter of Go and Make Disciples, and as a developer for programs like Seeking Christ and Awakening Faith. 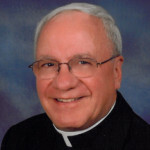 He has authored many books on spirituality, discipleship, and evangelization, and travels for parish missions and priest convocations. Rev. Kenneth Boyack, CSP, has served at PEM for over 30 years in a variety of roles. He was the main developer of Disciples in Mission, which over 3000 parishes used one way or another, as well as the developer and strategist behind Living the Eucharist. 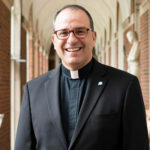 He currently serves as Vice President of PEM. Second-year theology student for the Paulist Fathers (CUA), hails from Quebec. He joined the Paulist Novitiate three years ago. Strong interest in preaching and in music. He plays the guitar and writes songs.